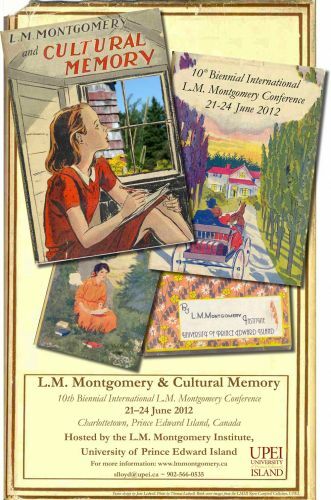 Two excellent pre-Conference workshops were held, each led by a talented and popular figure in the Montgomery field: Trinna Frever’s Story, Identity, Cultural Memory: Oral Storytelling in the Literature Classroom. Deirdre Kessler lead a life-writing workshop entitled, Once Upon a Space: Memory and Place. Friday, June 22, the Conference attendees went on a trip to beautiful and historic St. John's Presbyterian Church, Belfast, where some of the Island's top musical talent played at the Songwriters' Circle, offered as part of the award-winning Festival of Small Halls. A short stop at a very special Montgomery site, Macphail House and Woods in Orwell, was also included. Sunday, June 24, a beloved post-Conference tradition returned, with the “Montgomery Road Trip" to popular Montgomery sites on PEI's gorgeous North Shore, culminating with readings from some of the Island's best-loved poets at Montgomery's "hallowed ground," the Macneill Homestead site.